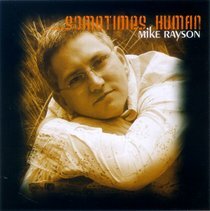 Mike Rayson has been through a lot in recent years. The death of his 11 year old son Sam in 2007, and the near death of his other son Oliver in another freak accident, has caused him to search the scriptures and to seek the Lord for answers. And the answer that God keeps on giving him is simply 'Emmanuel' - I am with you. His latest CD, Even So:1, is a collection of hymns and songs that sustained him on dark days. From Charles Wesley's 'O For a Thousand Tongues', to John Wimber's 'Spirit Song', each track contains the promise of strength for today, and bright hope for tomorrow.